There was a clear competitive determination at an early age, when our new under 12 boys keeper was getting annoyed at conceding goals back in 2012! 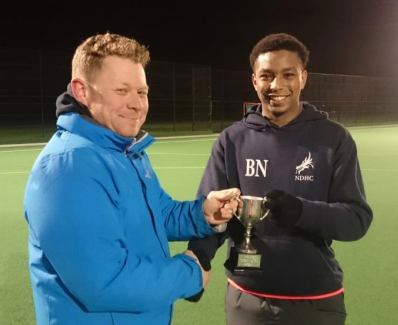 It is little surprise to now see that young man being driven to compete at the highest level, Ben Nkrumah has been nominated by his Performance Centre coaches for, and has been accepted into, the Advanced Award in Sporting Excellence (AASE), which is a government funded scheme led and delivered by England Hockey in partnership with Loughborough College. The scheme provides a structured training and development route for high potential hockey players and offers a dual career pathway for athletes who have been recognised and nominated by their National Governing Body. It allows players to undertake the AASE programme at the same time as studying for A-Levels. Ben is studying four A-Level subjects at Norwich School in addition to the AASE programme. England Hockey Level 1 “un-assessed” Umpiring Qualification. Between now and the end of July 2018, Ben will attend four centralised camps (13 days in total) at Lilleshall National Sports & Conferencing Centre and those that are successful at the end of the programme will be selected to play in the International School Games in August 2018 at Loughborough University. 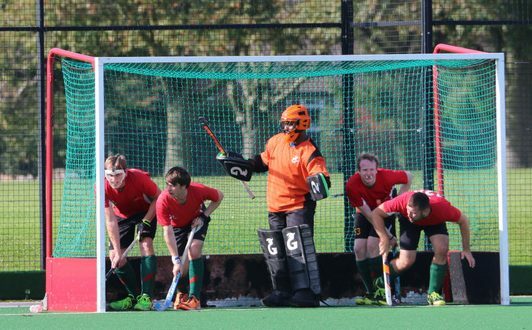 Ben is taking all of this in his stride, studying for his 4 A-Levels, his Club and Performance Centre hockey, coaching and developing young goalies for Club and County teams, as well as a bit of umpiring here and there!! Going the extra mile to support those who need extra help and responding to these needs. We rely a lot on these young helpers at all training sessions and they do a great job. This award was presented by Tom Vaughan, the Men’s Club Captain. Feedback from Coaches on assessing Ben for this Award was that he is there every week – always keen and eager – proactive if he hasn’t been asked to do something & always does whatever he is asked. Has led sessions for around 5 keepers most Thursdays (u12 boys and dev boys). Umpires on Saturdays when he can around school matches. Plays for whoever he can without complaint. Is one of the Young Dragons representatives on the Youth Committee and attends these meetings to put the young perspective across. This entry was posted in Latest News on October 6, 2017 by admin.